If you break that definition down, you have four concrete, actionable steps to master the content marketing game. 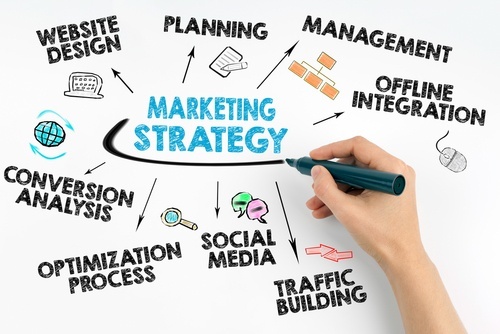 Develop a strategic marketing approach. Some marketers just start developing content. Any content will do. Like amateur chefs cooking spaghetti, they throw marketing noodles at the wall and hope some of them will stick. But in order to develop a content marketing strategy that will work, you need to first decide (a.) who you’re going to target, and (b.) how you will target them. Go all the way back to your buyer personas and develop an action plan to reach one or two of them. Include the channels you’ll use to reach your target audiences in your strategic plan. Create and distribute valuable, relevant and consistent content. Develop top-of-the-funnel blog posts (like the one you’re reading now! ), ebooks and whitepapers, mid-funnel case studies or how-to videos, and bottom-of-the-funnel offers like introductory offers, free trials or consultations. Keep your target in the back of your mind while you write content and produce videos. Remember, it’s not about you…it’s about them. When you develop your content, you must be sure to pay attention to the data you’re collecting using Google Analytics, your marketing automation tools and even SEO/SEM tools like SEMRush. Develop real content that your personas want to consume. Attract and retain your audience. Draw them in by answering questions with your top of the funnel content. For example, you may have uncovered this blog post by searching something like “how to create valuable content for content marketing.” Once you’re here reading the post, it’s our goal to help you provide other top-of-the-funnel content you might find useful. You might download one of our marketing ebooks. If you find those things valuable, you might open an email from us later with a case study. The bottom line is this: if you’re focused on educating your target personas, they will keep coming back for your content. If you keep teaching them, they may find your products or services valuable enough to invest in them, not only with their time, but with their dollars. That’s just how content marketing works for you…even in those hours when you’re not actually working. After all, the web is open 24/7/365. The final step in content marketing for many, this one is the scariest. How do we convert these leads into customers? This is where a partnership with sales is going to work in your favor. If a customer has been truly engaged with your content for two weeks, three months, six months or however long your average sales cycle is, you may want to sit down with your sales team and figure out the best bottom-of-the-funnel piece to send their way to fully engage them and push them toward making the final step of purchasing your product or service. Content marketing can be a lot of fun. Engaging potential customers with valuable content is a great way to help you understand your customers in a whole new way. If people interact with a particular blog post, try another post on the same topic and see if it works the same way. Alternatively, if a post is unsuccessful, try a different spin on it. The trick with content marketing is that you can never stop creating content. Keep the content flowing, and the leads will almost certainly come in.